After a loved one passes away, the probate administration allows for effective management and distribution of the deceased individual’s assets. The probate process refers to the process of filing a will in court and administering the estate. Though most people associate probate proceedings with a testamentary will, intestate estates (when a person dies without a will) can also go through the probate process and be administered under District of Columbia and state law. Washington DC estate planning lawyer Michelle Lanchester can help you understand the probate administration process and can serve as an executor or personal representative of a will, or she can offer assistance and legal advice to another individual who is administering a probate estate. The process first begins by filing the will in probate court. If there are no objections to the will, the named executor or personal representative will pay debts of the estate and distribute any remaining assets to beneficiaries. If the deceased individual created a testamentary will, this document determines the distribution of assets during the probate proceeding. However, if no will exists, or if the will only covers part of the estate, state and District of Columbia law determines the beneficiaries and distribution. Michelle Lanchester is a respected attorney who assists individuals and families in their preparations for the future. 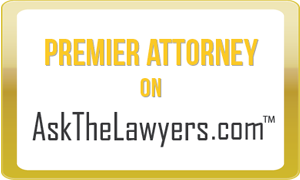 If you have questions about the probate process or need an attorney to consult on estate planning issues, contact Attorney Lanchester today to find the answers.